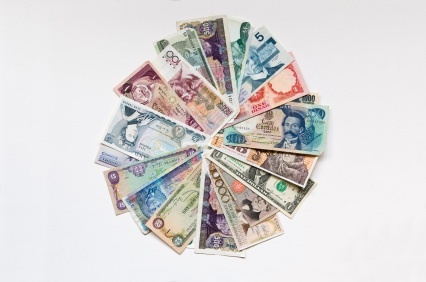 People who travel frequently outside their own country often accumulate a collection of currency they can’t use at home. It sits in a drawer with their passport waiting for the next trip to a place where they can use Euros, Rupees, Rand or Hong Kong dollars. How do you manage cash that isn’t your home currency is a challenge and everyone has an idea of what’s best. Before leaving home I acquire some of the currency used at my destination. I want to be sure I can pay for the cab to the hotel, a snack when I arrive. One of my friends would rather find an ATM when she arrives. If she can’t find one in the airport she’s happy to negotiate an informal exchange rate at coffee stand so she can grab her latte and pay in US dollars. Too complicated for me at the end of a ten-hour flight. When you’re planning don’t forget the connection you’ll make somewhere between home and your ultimate destination. What currency will you need for a cab into town in Zurich, lunch in Frankfurt, newspapers in New York? At the end of the trip how do you avoid returning with a stack of cash for your passport drawer? A favorite approach is to apply that currency to your hotel bill. But don’t be tempted to use every last bit of change in your wallet. On my last trip a flight was cancelled which meant an unexpected night in a hotel, with meals, cabs and tips to be paid. Glad I kept some currency as a souvenir!